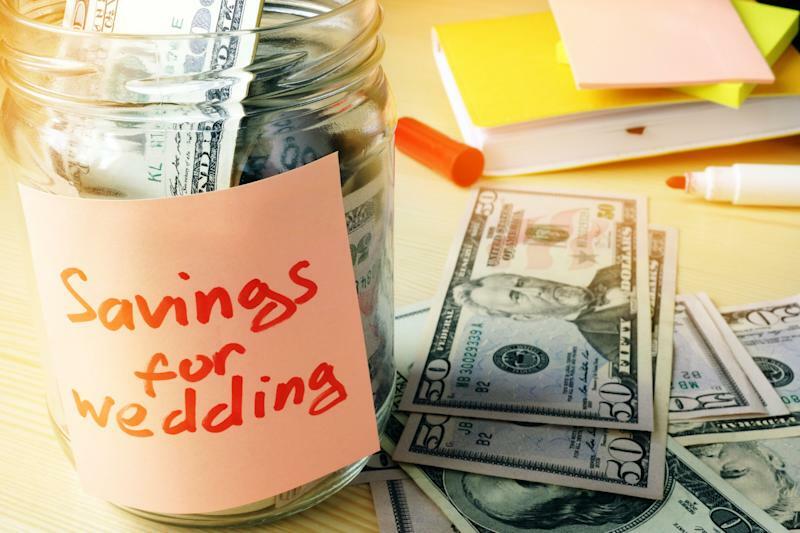 For couples planning a wedding, the months leading up to the day are exciting, but also stressful, especially when dealing with complicated family dynamics that come into play when it comes to finances. The average wedding costs $33,391 according to the Knot, and deciding who can and will contribute can lead to some sticky situations. Keene offers her tips for avoiding financial drama with your family. Keene says it’s crucial to avoid problems down the line by meeting with each set of family members and finding out what their priorities are for your wedding day. By listening and taking into account what’s important to your family, it will be easier to decide how your money will be spent, whether you’re the ones paying or someone else is, Keene says. When it comes time to work out the details of who will be contributing, you need to set expectations about who is calling the shots, Keene says. While it may seem appealing to accept money for your wedding, Keene says you need to know what that will entail. Setting boundaries is the key to a drama-free wedding, says Meg Keene. Keene says it gets complicated when people have demands for what they want but then don’t offer to pay or have the money needed to contribute. It often just comes down to helping your family understand how much their demands will cost. Finally, you need to touch base with your partner and decide how you will navigate everyone else’s priorities with your own, and sometimes that means giving your parents some space to feel the emotions they have towards your wedding and what will make it special, Keene says. But at the end of the day, it’s your wedding, so it’s important to feel like you have the experience you want. “You’re going to live with that for the rest of your life—your parents are going to move on,” she says. Confused about taxes and don’t know where to start? On February 28, we're hosting a LIVE Q&A with tax experts to answer YOUR questions. Email us your questions here.